Ever growing, Carolina Forest is building a new community with the help of Benchmark Communities builders. Summerlyn features 3-4 bedroom homes in 11 individual floor plans, such as a 1946 square foot, 4 bedroom home with 2 baths and a screened in porch starting at $196,990. Sizes run from 1152 square feet to 2224 square feet, priced from $160,990 to $218,990.You are sure to find the right home for you. These Benchmark Communities houses feature Energy Star appliances and are natural gas homes. They offer hardwood and vinyl flooring and vaulted ceilings Smooth-top ranges, disposals, dishwashers, all the upgrades you can imagine with your choice of options make your home uniquely yours. The community has a number of small ponds which offer serene water views and there is a clubhouse with a swimming pool. 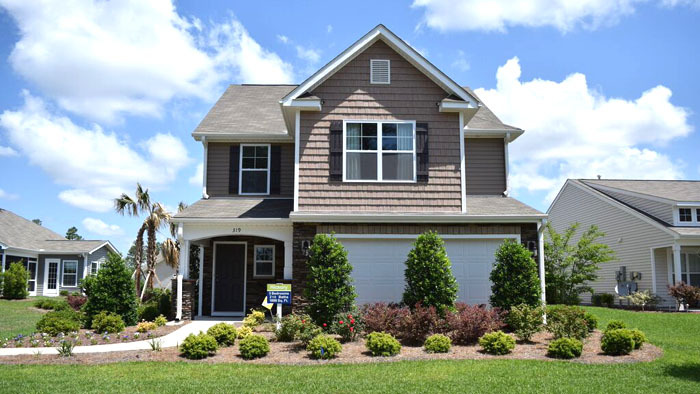 The community of Carolina Forest is an amazing amalgamation of subdivisions in Myrtle Beach, offering top-rated schools, their own shopping centers, and a tranquil lifestyle out of the noise and tourist traffic of the Grand Strand. And yet, it is only minutes away from all the excitement and beaches when it is time to have fun. Visit our website to learn more about the new homes of Summerlyn in Carolina Forest and call our real estate professionals for a private tour of the community. We are here to answer your questions and help you find the home of your dreams.